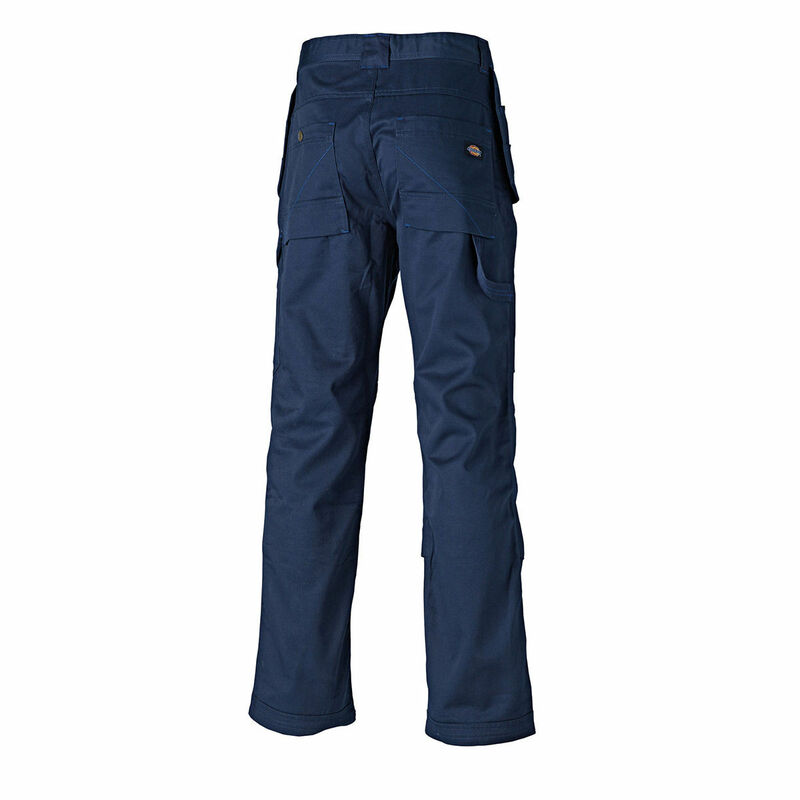 The Redhawk Pro Trousers are a high quality update of the best selling WD884 Super Work Trousers. Sold in waist sizes varying from 30 - 44 inches with 3 leg lengths in short, regular or tall. Brilliant Trousers very robust and last for ages with loads of pockets. The WD801s benefit from multi-pockets for maximum storage capability and also have a fashionable light blue stitch detail throughout. The knee pad pouches are velcro fastening to secure your Dickies Knee Pads in place (not included).